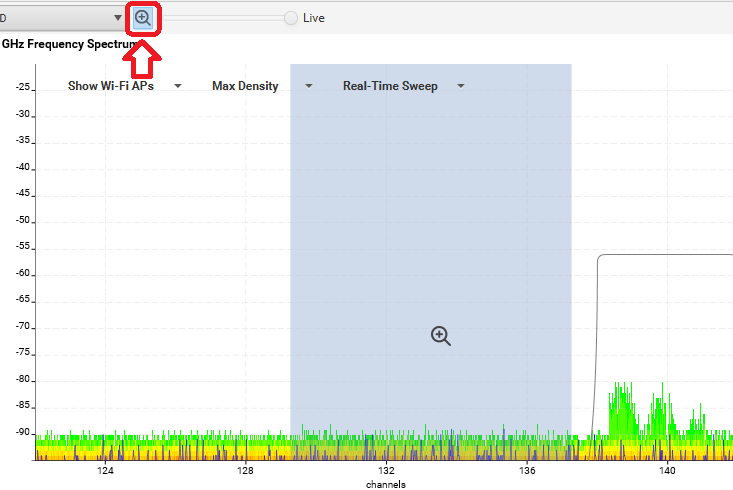 Ekahau Site Survey Version 9.1 – What’s New ??? macOS version is out of beta! ESS is now officially available for macOS, including simultaneous passive and active / throughput testing as well as spectrum analysis. Sidekick is the only supported external “adapter” for macOS, and GPS assisted surveys is still missing. It’s been long, long, LONG time coming but it’s finally here! Ekahau Site Survey for macOS is now finally out of beta. “Out of beta” in this case means that macOS version is now feature complete and up to par* with its Windows counterpart. This in turn means that survey parts on macOS have been beefed up considerably and endless number of creases and wrinkles have been ironed out by our dev team. The most worthwhile new features on the macOS version are the ability to do comprehensive passive surveys with the new Ekahau Sidekick™ and active surveys with the internal Wi-Fi adapter. No longer you need to attempt to do passive surveys with only the internal adapter and squint your eyes at the results while thinking “Maybe this’ll do?”. Active surveying is also another critical growth spurt ESS macOS version had to take to measure up to its Windows version big brother. This covers both methods of active surveying: Ping and iPerf**. These features work exactly the same way as on Windows with all the usual functionalities and settings. However, we don’t have our iPerf server component (Ekahau Edition) yet properly converted to macOS version, so you might still want to set up the iPerf server on a Windows computer (at least if you’re using our Ekahau solution). While Ekahau Sidekick™ is fully supported on macOS, unfortunately you cannot use the other external adapters (NIC-300 or SA-1) for passive surveys on that platform. **Iperf support on macOS is this month’s bonus feature for you, our friends! However, the iperf implementation isn’t yet completely fine-tuned and doesn’t necessarily work on all macOS setups. We’ll be sure to work on it some more in the future releases! Ekahau Sidekick is the first ever Wi-Fi site survey device, and houses 2x enterprise-grade Wi-Fi adapters and an outstanding spectrum analyzer. It’s what we highly recommend for site surveys and troubleshooting – whether on macOS or Windows. Ekahau Sidekick™ is our brand spanking new device for all your site survey and troubleshooting needs and a perfect companion for ESS. This lovely rectangle of a device boasts two high-quality 802.11ac Wi-Fi adapters, which allows you to perform high-quality passive surveys. This square-shaped powerhouse also houses a state-of-the-art dual-band spectrum analyzer, which offers spectrum results with unparalleled speed and resolution. 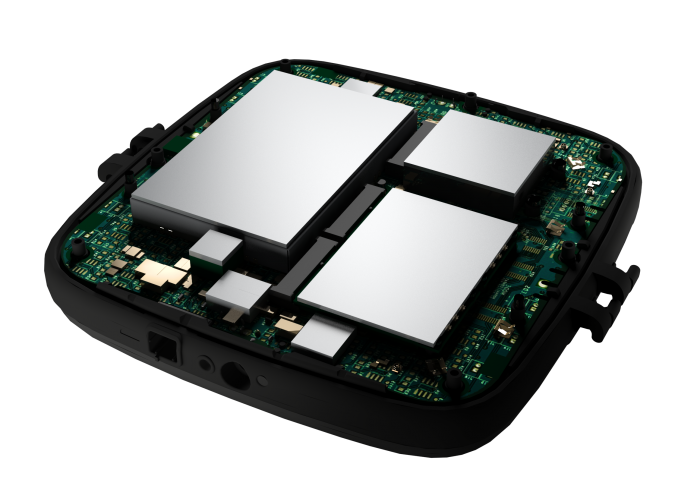 Ekahau Sidekick™ packs all these capabilities into one conveniently sized and easy-to-carry solution. You no longer need to turn your computer into a sci-fi movie prop with multiple different adapters and dongles sticking out of it, but instead you can just plug in one single device with all the needed functionalities. This is Plug & Play at its simplest and most refined form. Ekahau Sidekick™ also finally allows you to do full passive and spectrum surveys on Mac as well, if that would be your platform of choice. With the launch of Sidekick, we also wanted to beef up our Real-Time Frequency Monitor feature, so we added zooming, better customizability and more. In addition to other heavy hitters, we’ve also given our Real-Time Frequency Monitor a substantial upgrade. Part of upgrades are about making this feature optimized for the AWESOME POWER of Ekahau Sidekick™ – all the awesomeness does take its toll on the computer. However, some of the upgrades are readily visible for the users. 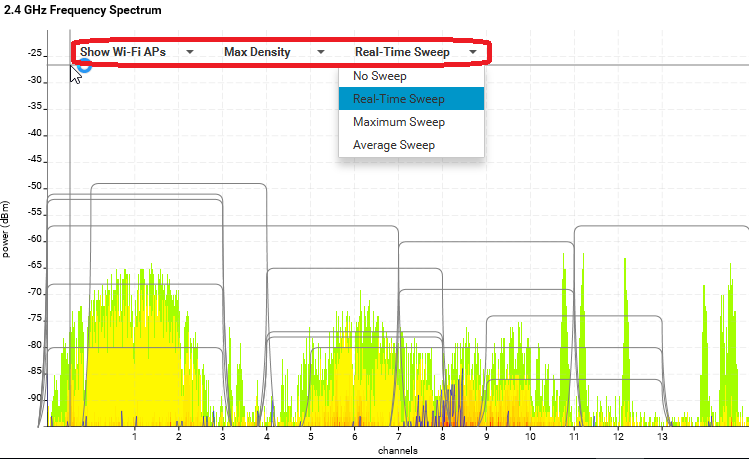 Frequency Spectrum view has been now equipped with various new settings to let you decide what you want to see in this view and how you want to see it. Want to see spectrum in all its glory without Wi-Fi lines scribbled all over it. Done. Spectrum sweep averages with point density? Can do. 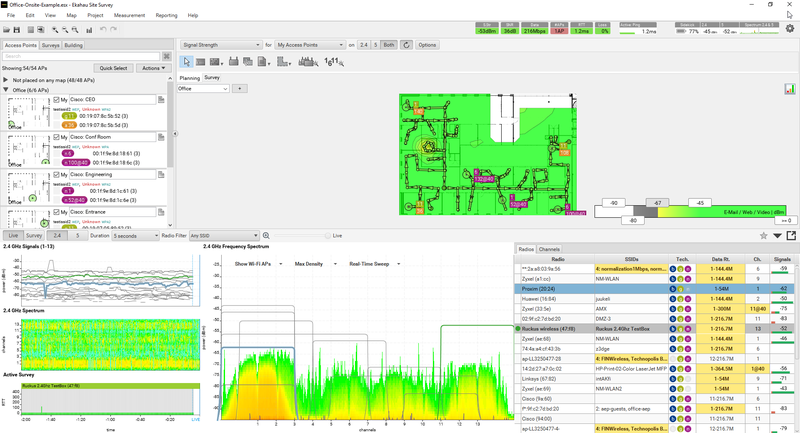 With the introduction of Ekahau Sidekick™, the spectrum scans are now much more detailed and higher resolution. This means that the finer details of results can get lost when viewed across the entire Wi-Fi spectrum. That’s why we have now also implemented zooming for Frequency Spectrum view, so you can drill down to finer details more easily. 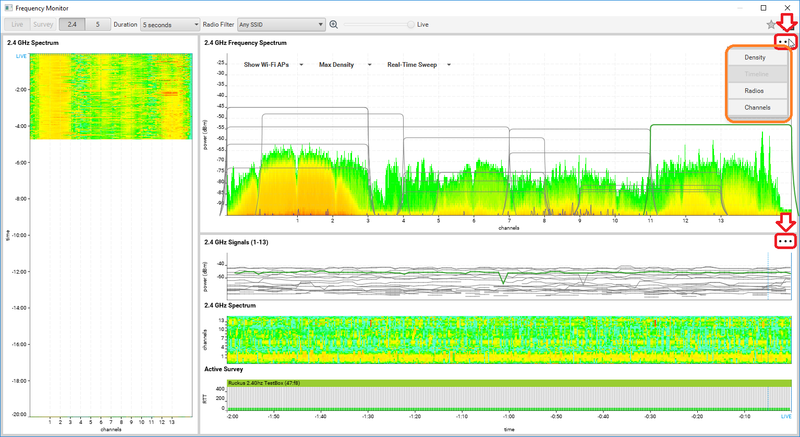 2.4Ghz band has two zoom levels and 5Ghz band has three zoom levels. If you’re using multiple screens with ESS or you are just tired of RTFM hogging half of the space on your main window, you’ve probably already discovered detaching RTFM into its own window. If this is a new feature for you, just click the odd icon next to the black arrows on the right side of the screen to make it happen. In ESS 9.1.0 we have given this separate RTFM window a complete overhaul and added a fistful of customizability into the mix! You can now freely select which views you want to use on the detached RTFM window – just click the dots in the corner of the view to start! Last but not least – well, maybe in this tough crowd – we’ve also given ESS user interface a proper dusting and a new paint job. As part of our changes, we also aimed to modernize and streamline the UI look and feel. Additionally, we’ve also made an effort to make Windows and Mac versions feel and look as similar as possible for consistent experience. Don’t worry, we’ve not maimed ESS so it’s unrecognizable or anything. You’ll be able to find all the features in more or less in their familiar places, but the presentation is now less 2004 and more 2018. That wraps up the new stuff in ESS 9.1.0! You can find more details in our release notes, if you wish to delve deeper in what we’ve been up to. LCOS 10.20 User Manual Addendum now available to download.